UK-based soft drink group Britvic has reported a strong set of financial results, increasing revenue by 10.1% to £1.431 billion and pre-exceptional EBITA by 8.4% to £186.1 million for the 53 weeks ended 2 October 2016. Like-for-like revenue increased 0.4% and like-for-like pre-exceptional EBITA rose by 3.8% to £178.8 million. 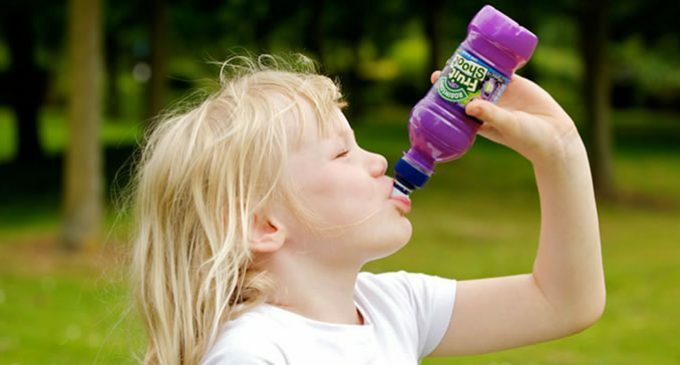 Britvic’s carbonates portfolio, which includes both PepsiCo brands and its owned brands, enjoyed another successful year. The group’s continued focus on no and low sugar resulted in Pepsi Max, 7UP and Tango all delivering growth. Whilst the value of the cola category declined by 1.4%, Pepsi grew its retail market value by 6.7%, adding over £26 million of retail value from Max, with its new Cherry variant leading this growth. 7UP Free outperformed the fruit carbonates category with double digit retail value growth, and Tango delivered its best performance in over 10 years. However the stills market in Great Britain was more challenging although the second half of the year reflected encouraging signs of improvement. Over the last three years, Britvic has invested in its marketing and innovation capability and this is now starting to bear fruit. The contribution from innovation continues to grow and represented 4% of 2016 revenue. Recent successes in Great Britain include J20 Spritz and Robinsons Squash’d. “We remain focused on delivering the strategy we laid out in May 2013,” points out Simon Litherland, chief executive of Britvic. “Despite a challenging environment in all the markets in which we operate, we have delivered another strong set of financial results and continue to make good progress in executing our longer term strategic goals. The breadth of our portfolio, strength of our core brands and increasing innovation capability means we are well placed to adapt and evolve with consumer trends and customer needs that continue to change, probably faster than ever before. Britvic continues to build its international business and reported an excellent first year in Brazil with Fruit Shoot now launched in Sao Paulo, and continued progress in the USA with Fruit Shoot multi-pack now on-shelf. Britvic has embarked on a transformational three-year investment programme to deliver increased supply chain flexibility and efficiency with a minimum 15% EBITDA return. 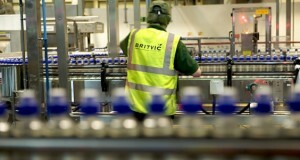 Britvic expectats that the net capital investment in the programme will be around £240 million. The first year of investment into the supply chain in Great Britain is on track and Britvic has identified opportunities in Ireland and France. In 2016, Britvic commissioned its first new large PET line and on site warehousing in Leeds. The soft drinks group also made significant progress on the installation of three new can lines in Rugby. These will be fully operational in spring 2017 and will start to deliver significant cost and commercial benefits as Britvic heads into 2018. In 2017, Britvic will commence the next phase of its investment programme, with a new PET line in London, as well as new aseptic lines in Rugby and in France. In Ireland, it has announced changes to its distribution model, outsourcing all warehousing and distribution to increase capacity and reduce cost.